I don't like buying clothes or shoes online. It's so hard to find a good fit. I bought some shoes recently and tried five pairs on before I settled on one. Headphones aren't any different. Some fit like a glove, and some just aren't a good fit. Where I love the way Etymotic's ER4SRs fit, or my Shure SE215s, not all buds are created equal. 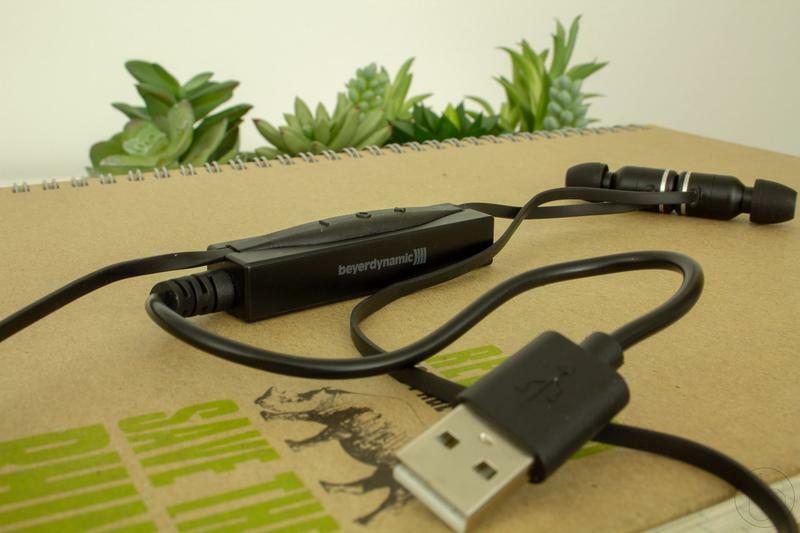 Case in point are Beyerdynamic's Byron BTA wireless Bluetooth headphones, a set of in-ear headphones I wanted to like but found myself dissatisfied with at every turn. That's okay for headphones that cost $17.99, but these go for $179.99. This is a new problem for headphones to deal with. We can make wireless earbuds truly small, but they're actually too small to fit a charging port. So how do we spin that battery back up after draining it down with a commute and a day's work? 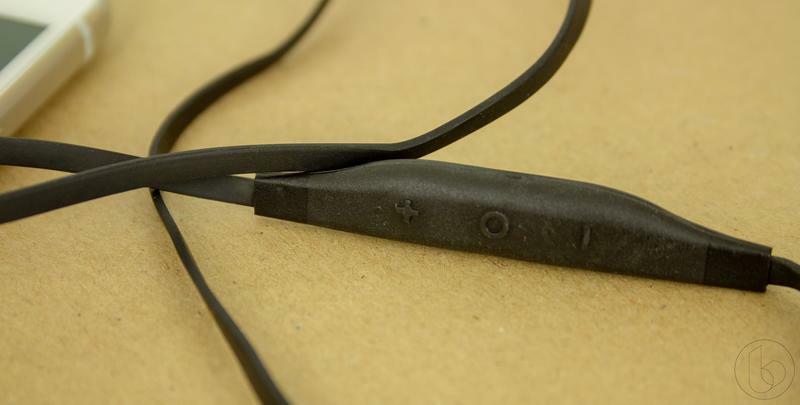 Companies like Apple and Bang & Olufsen went one direction: the charging case. 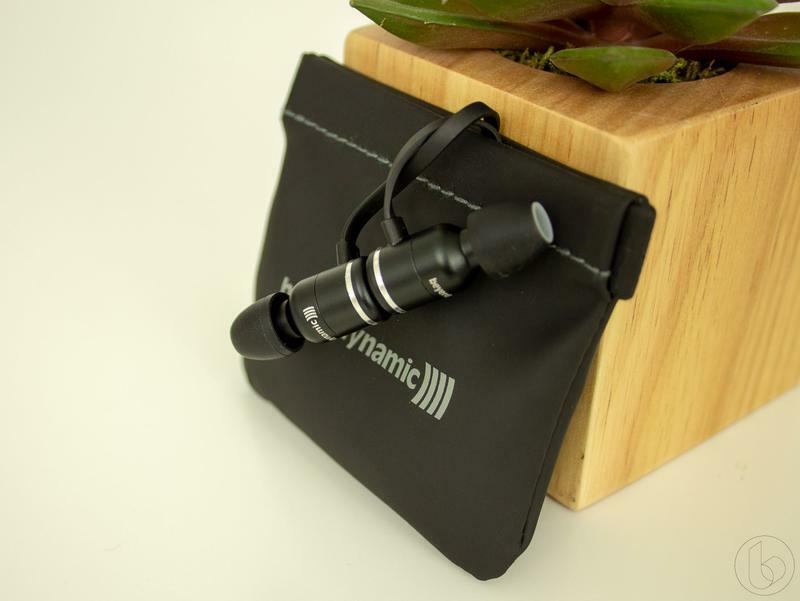 Both companies offer small, stylish charging cases that look good, give you a safe place to put your headphones. 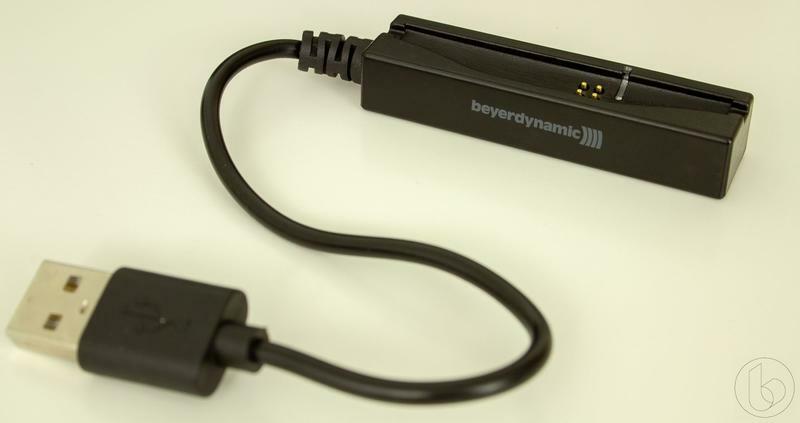 Beyerdynamic gives us a dock instead, but they mishandled just about every aspect of it. The dock is ugly. At best, it will hang off the side of your laptop. There's no way it's going to sit flat. That's purely aesthetic, but it still bugs me. If you're using a desktop instead, or any of a variety of USB charging bays, it's going to just hang off the side. While I do have a laptop that I use constantly, my daily driver is a desktop computer. To charge the headphones there, they'd just hang down the side. The headphones do come with a case, and it's a pretty nice one with a coin-purse-style squeeze opening that feels like it closes firmly. I wouldn't have a problem trusting it to protect my headphones. But it doesn't fit the charger. Even if you curl up that dangling USB cord as tight as it will go, there's simply not room in the case. The above-listed companies solved both problems by creating attractive cases that fit the gear like a glove and offer a semi-universal charging port. It's possible you could lose the case for either, but it seems unlikely. With the Byron BTAs, it seems more like a matter of time. And then there's the matter of finding a fit. The Byron BTAs do come with three different sizes of silicone tips to fit different eras, but that makes the assumption that silicone tips work for you. 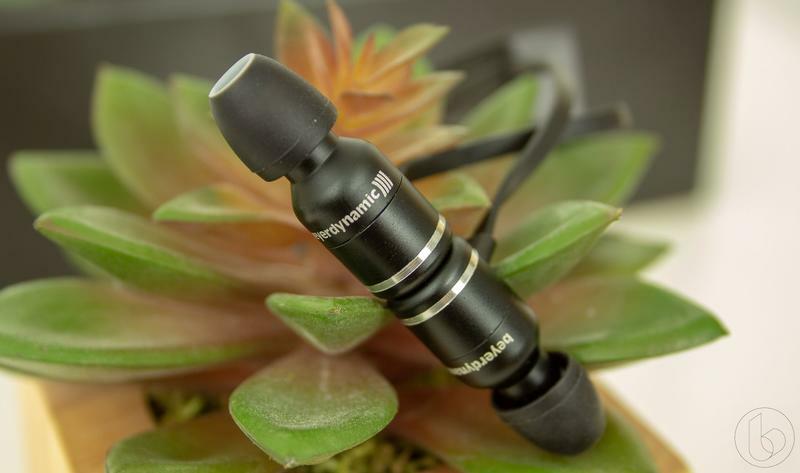 The combination of the silicone tips and the right-angled cord meant I never got a satisfactory fit and always felt like I was getting better sound if I held them into my ears. If I'm spending most of $200 on headphones, I'd expect to see at least one other option. 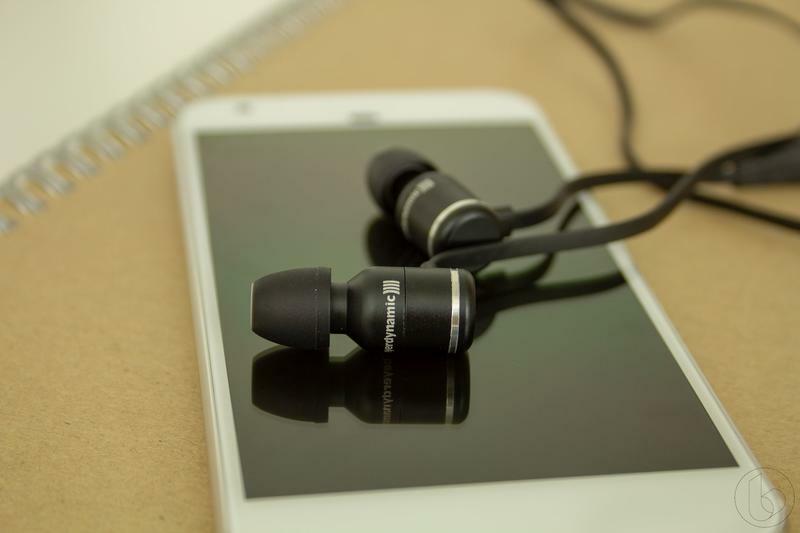 There are lots of ways to get a good earphone fit. You could include some triple-flange ear tips like you see standard on Etymotics, the Complyfoam tips that come with Shure and Bang & Olufsen buds, or even those porous foam tips for that construction-worker look. Those last ones are itchy as heck, but they at least get you a seal. When I'm paying this much, I expect enough options for me to get a good fit without having to buy aftermarket ear tips. Another downside of that weird fit is that, despite the connective cord linking the two earbuds together, I wouldn't wear these for anything involving heavy movement. That poor fit makes it feel like these could fall out at any moment. The Byron BTAs aren't without their upsides, though. 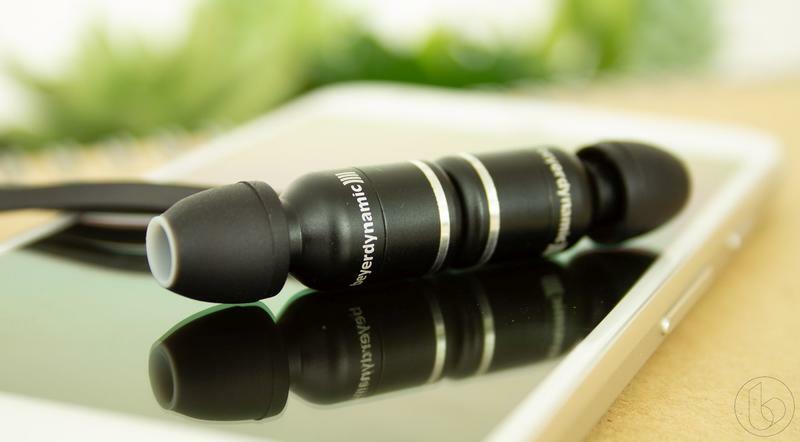 The cord connecting the two earphones is long enough for even the widest head, and the control box is small enough that it doesn't feel like it adds any weight to the affair. It has three buttons – one for power and starting/stopping music and calls, one for lowering volume and going backward, and another for raising volume and going forward. It's light and intuitive, which I appreciated. I didn't have to look up instructions to figure out most of the functions. The promise of 7.5 hours of battery is pretty accurate, too, and they charge up quickly once you do seat them in that clunky cradle. And you know, I could let a lot of that stuff slide if the Byron BTAs sounded stellar. But they don't. The bassline in "Roundabout" by Yes sounds cloudy and muted. The driving riff in Led Zeppelin's "Immigrant Song" sounds like it's coming through from the next room, not being pumped directly into my ears. I also listen to a ton of hip hop, though, and I'll admit that hip hop sounds better than rock does on these. Vocals are still a little muffled, but the overly warm bass helps bring different tracks to life. Dr. Dre's "Still D.R.E." has this cello-style thing happening in between the bass kicks and hi-hats that moves the song in a way I haven't really noticed before. "Hypnotize" by the Notorious B.I.G. sounds great on these headphones thanks to that bass. 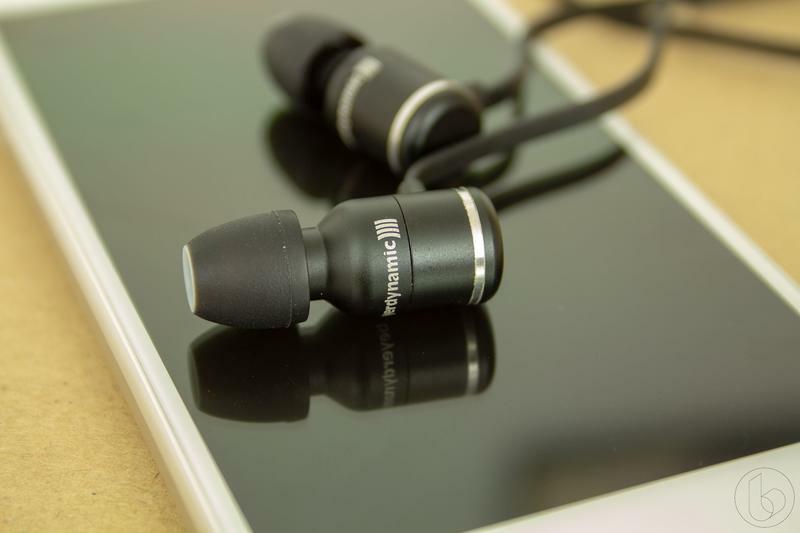 Whether you dig these headphones is going to be determined somewhat by the music you listen to, and these work better for vocal-forward and electronic music. Hip hop and pop music will sound better than rock, jazz, and other instrument-focused stuff. A good portion of the blame for the poor sound lies in the poor fit. When you can't get a good fit, you can't get a good seal. When you can't seal off the headphones, you can't stop noise bleed in both directions. I can hear the outside world and the music isn't just bouncing around inside my ear canals. If I hold the earphones in my ears, in place, they do sound better, but that's not a reasonable ask to get the most out of a pair of earbuds. If you have the right ears to fit these, you might have a better experience with them than I did. I can't help but feel like the lack of different eartips affected my experience with the Byron BTAs. 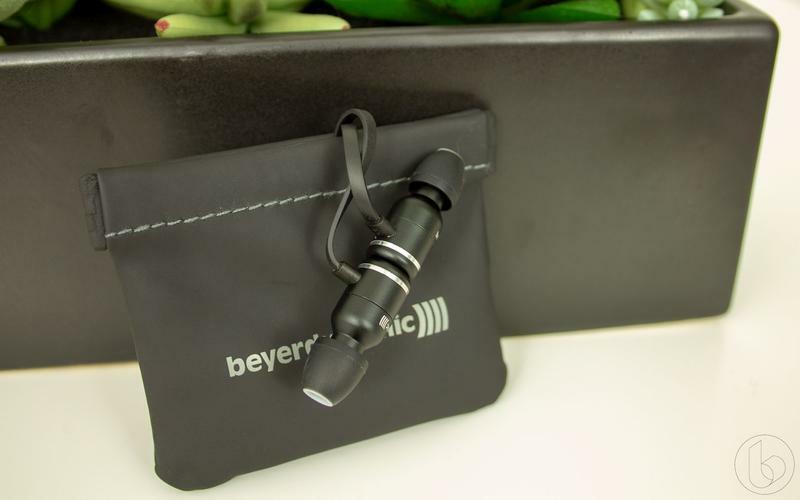 For nearly $200, you can do a lot better than Beyerdynamic's Byron BTA in-ear headphones. I'm frustrated in saying that. 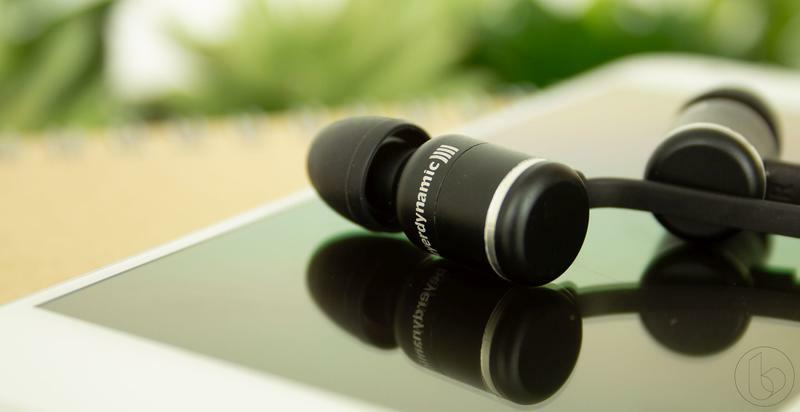 Good earbuds are tough to find, and good wireless earbuds are even more difficult. Unfortunately, these aren't that. 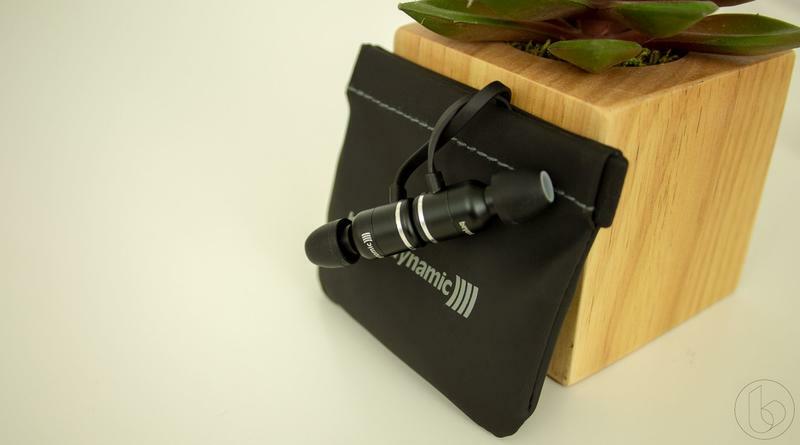 These aren't the earbuds to get for most people. DISCLAIMER: We spent a couple full charges over three weeks listening to the Byron BTA wireless in-ear headphones before writing this review. 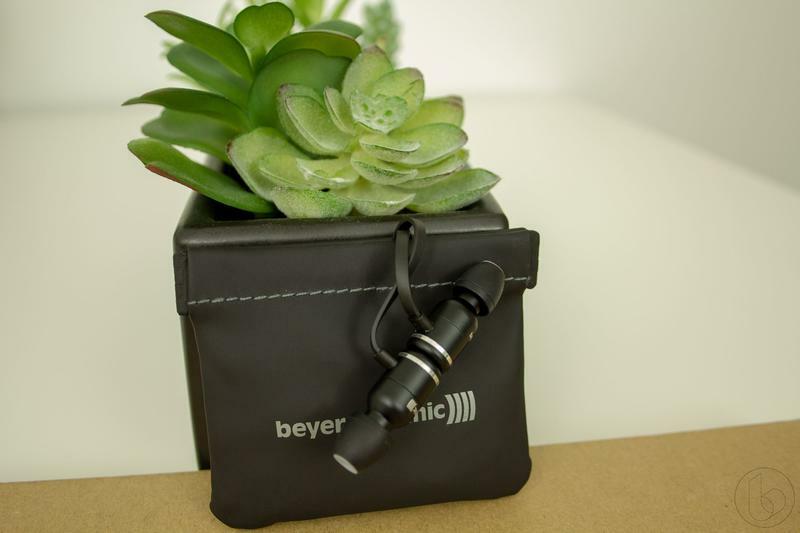 Check out the Beyerdynamic Byron BTA Wireless Earphones or other Audio Technica products from Audio46.com.